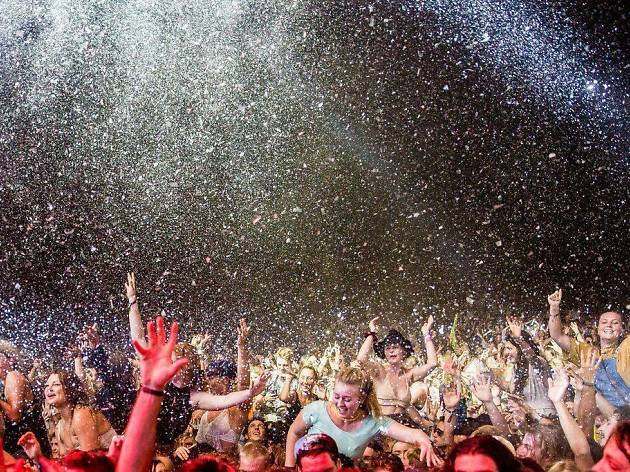 There’s no better way to ring in the new year in Australia than by getting loose at Falls Festival. The music and arts festival is one of the most hotly anticipated events on the festival calendar, and it has been going strong for 26 years. This year partiers at Falls Festival will be ringing in the new year with none other than 1980s rockers Toto. You’ve belted out ‘Africa’ countless times while drunk, and now you’ll get to see them in the flesh as they take to the stage for Falls 2018. Toto will be playing alongside the likes of Vance Joy, Interpol, Flight Facilities, Chvrches and Anderson Paak. and the Free Nationals. Also on the line-up is a refreshingly large proportion of women, with 48 per cent of acts in the first line-up announcement featuring women. Powerhouse ladies on the list include Amy Shark, First Aid Kit (in their only Australian show), Mallrat, Jack River, Tkay Maidza and Odette. The 26th annual Falls Festival will place in Lorne on December 28, 29, 30 and 31, with sister festivals taking place in Marion Bay in Tasmania, Byron Bay in New South Wales and Fremantle in Western Australia. Special 'friends of Falls' pre-sale is open now, with general tickets going on sale 9am on Thursday, September 6 from the Falls Festival website. See the full list of acts below. More acts are still to be announced. Find why Odette is very surprised (and thrilled) that you go to her concerts. Check out St Kilda's new rainbow road.